A judge withheld racist text messages from a jury that were sent from the phones of two G4S security officers accused of the manslaughter of an Angolan man in their care. The judge claimed the offensive messages bore no relevance to the trial. 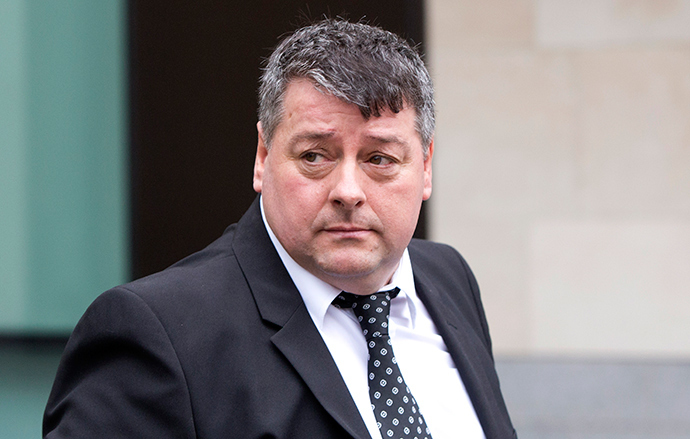 Terence Hughes, one of three defendants accused of the manslaughter of Jimmy Mubenga, had 76 racist text messages stored on his phone, The Guardian reports. The offensive texts were abusive to Asians, Africans and Muslims and demonstrated racist attitudes regarding immigration. But the Old Bailey judge, Justice Spencer, would not allow the messages to be used as evidence in the trial. Another defendant, 39-year-old Stuart Tribeling, also reportedly had racist messages stored on his phone. “F**k off and go home you free-loading, benefit grabbing, kid producing, violent, non-English speaking c**k suckers and take those hairy faced, sandal wearing, bomb making, goat f***ing, smelly rag head b*****ds with you,” The Guardian reports one of the texts as reading. The six-week trial concerning the death of 46-year-old Mubenga finally came to a close on Tuesday, with the defendants being acquitted. The defendants’ acquittal sparked outrage in Britain and elsewhere, with anti-racism campaigners warning that Spencer’s ruling represented a severe miscarriage of justice. 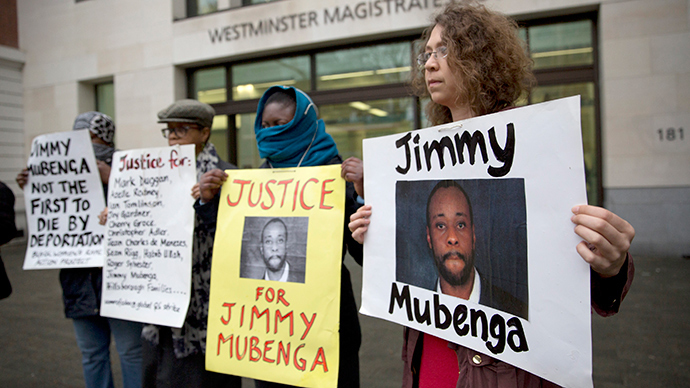 Mubenga died in October 2010 after being physically restrained on a British Airways deportation flight. Three G4S staff had been accused of manslaughter by forcing the Angolan father's head down and restricting his ability to breathe as the flight they were on prepared to take off from London’s Heathrow Airport. Mubenga was reportedly restrained by the guards after behaving aggressively as the plane prepared to take off. The court heard that passengers present on the aircraft heard Mubenga cry out, “I can’t breathe,” as he was restrained on his seat. At this juncture, he was already handcuffed with a seatbelt on, it was revealed during the trial. Previously, however, a coroner had concluded the death was due to cardiorespiratory collapse caused by the fact Mubenga was restrained on the 2010 deportation flight. 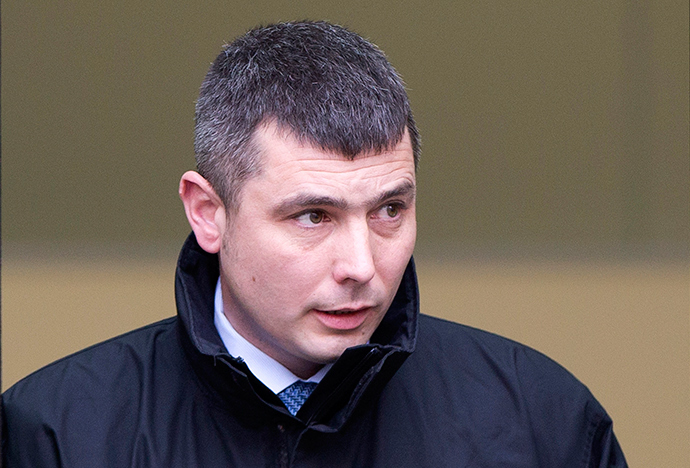 Throughout the trial, the prosecution argued the G4S security guards' racist texts should be made known to the jury because they provided insight into two of the three defendants’ mindsets. But their arguments were rejected. Campaigners conducted an American-style “I can’t breathe” rally outside the Home Office in Westminster to protest against entrenched prejudice, racism and impunity they argue characterize the case. Members of the London-based All African Women’s Group, which includes people affected by deportations, gathered outside government buildings to protest the outcome of Mubenga's trial. Similar “I can’t breathe” protests have been held in recent times in the US following the death of Eric Garner. Garner, a black New Yorker, suffocated in July as Manhattan police officers tried to restrain him. The Institute for Race Relations said the offensive and racist texts should have been disclosed to the jury during the trial. The coroner made it absolutely clear how racist attitudes can impact on how people are treated, the group’s vice chairman told The Guardian. The fact that Hughes and Triebling’s phones contained dozens of racist messages was not the only information hidden from the jury. The jury was never informed that the inquest concerning Mubenga's death had returned a verdict of unlawful killing.